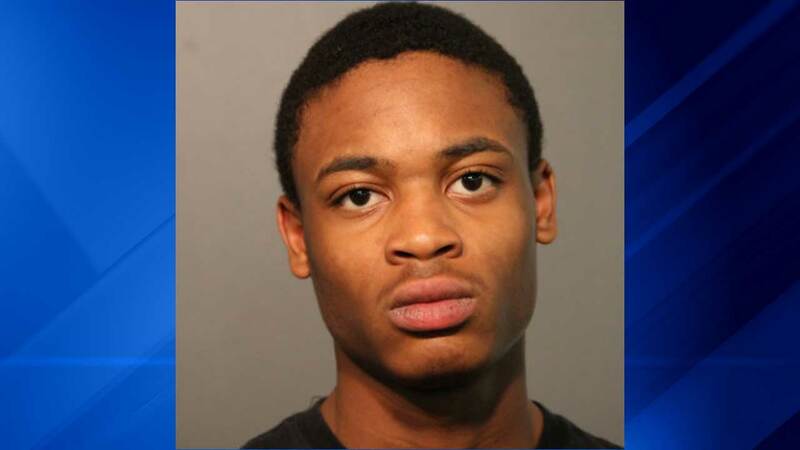 CHICAGO (WLS) -- Ralph Banks, 19, of Evanston, is charged with aggravated discharge of firearm in connection with a shootout in Wrigleyville over the weekend. More than 80 shots were fired between police and two groups that were shooting at each other early Sunday morning in the 1100 block of West Patterson Avenue. Banks was one of the gunman, police said. He was arrested without incident after taking himself to St. Francis Hospital with a gunshot wound to his back. Officials said they also recovered a loaded .40 caliber handgun. Police said the shooting started around 3 a.m. on Sunday, December 13, 2015, after an uninvited person showed up at a party. Chicago Alderman Tom Tunney released a statement, "I have been in constant contact with Commander Cesario and the 19th Police District and as they are gathering more information on the shooting that occurred at Racine and Patterson early on Sunday Morning. Police rapidly responded to the occurrence after the first shot was fired." Tunney said he will be talking with the owner of the building where the party occurred. "I believe this was an isolated incident and clearly not a normal occurrence for our neighborhood. I will continue to update neighbors as we learn more," he said.